1 . 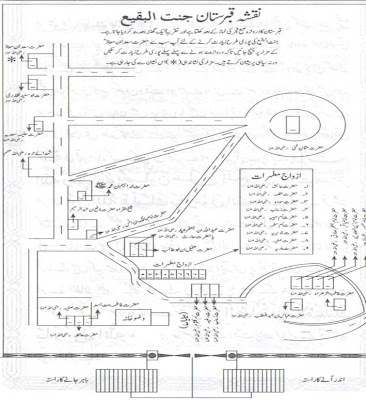 The most pious and spiritual grave yard of the world is called, "Jannat-ul-Baqqi" where a number of companions (RA), wives daughters and other family members of Prophet Muhammad sallalla ho allihi wasalam are lying to rest. 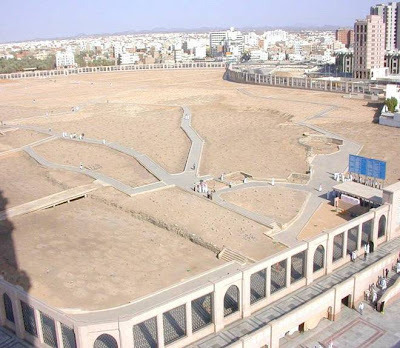 In the time of Prophet sallalla ho allihi wasalam live hood, this grave yard was thought to be out side the Madina city but after the vast extension,now it has now come just adjacent to Masjid-e-Nabvi. 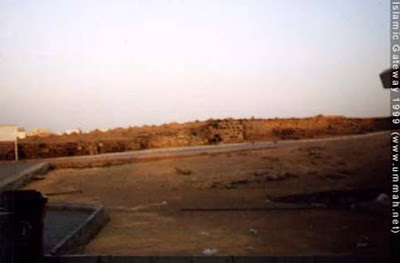 If you come out from Masjid-e-Nabvi, through Baqqi Gate, or Jibrael (AH) Gate you will see few yards ahead a boundary wall at a little height. 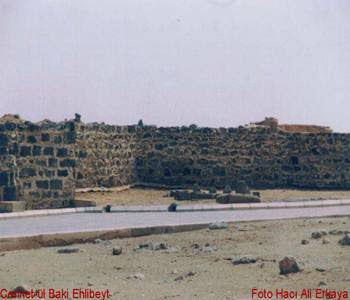 This is JANNAT -UL -BAQQI'S wall. Stairs are made to reach at the height. 3 . People must visit this grave yard with great respect as many great personalities are lying to rest here. 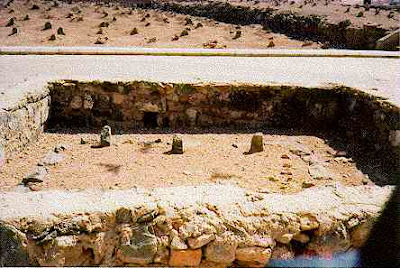 Grave of Hazrat Ibrahim R.A. 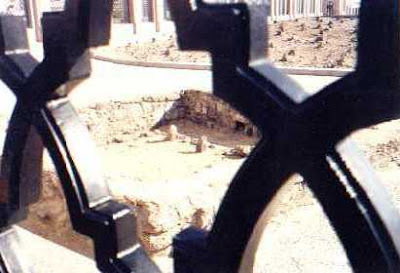 Grave of syedna 0sman R.A. 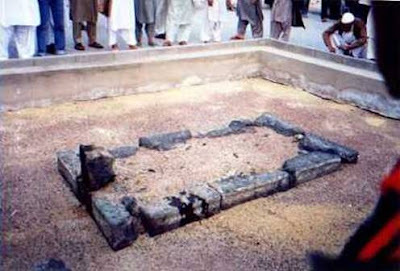 Grave of Hazrat Haleema R.A. 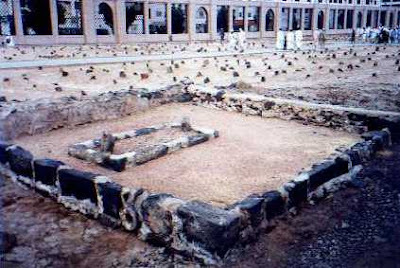 Almost all the wives except syeda khateeja R.A are lying rest here in jannat-ul-baqi. 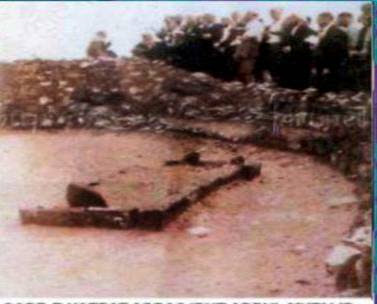 Grave of Hazrat Safia R.A.
with the soldiers of islam in the battle of uhad. she worked in this battle as a kind hearted nurse. she used to clean wounds and bandaged over them.she supplied and helped injured soldiers of islam to drink water in battle field. last two are also aunt of prophet sallallaho allihi wasalam. 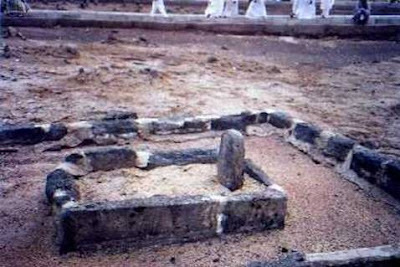 This is the grave of syedna Abbas radi Allah ho talla anhoo----He was the one out of 2 uncles of prophet sallalla ho allihi wasalams'who embraced islam.Other one is seyedna Hamza R.A, who is buried in the battle field of uhad in madina munawarrah. 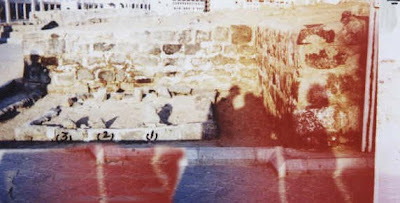 Wonderful post about Jannat ul Baqi. I like it. 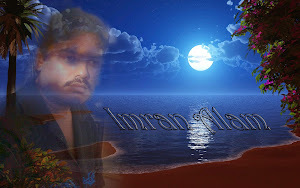 Really very useful and very informative post. Thanks a lot for sharing. 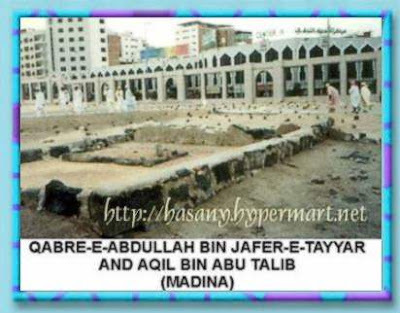 It is wish of every Muslim to bury in JANNAT-UL-BAQI as it is the sacred graveyard. Muslims who get Umrah or Hajj Packages and go for holy pilgrimages must visit this place as this place strengthen the faith of Muslims. Ramadhan is Coming......Are You Ready?